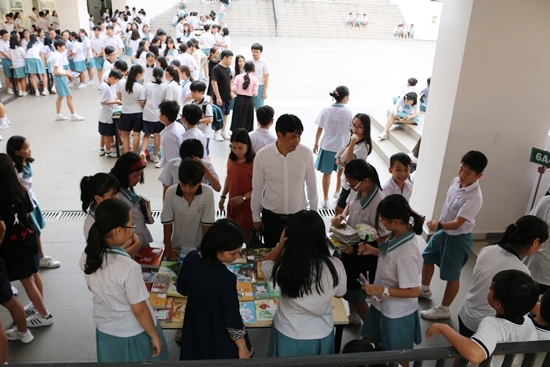 Lawrence S.Ting School in Vietnam organized a book fair on March 15 to fundraise The Library Project‘s children’s libraries for poor children. Through the event, students in this school have contributed the amount of money equivalent to an entire STEM Classroom Library, as well as a Lireracy Program and Teacher Training for rural elementary schools. In addition, hundreds of books about science, history, fairy tales, etc. have also been donated from March 11 to March 22, 2019. 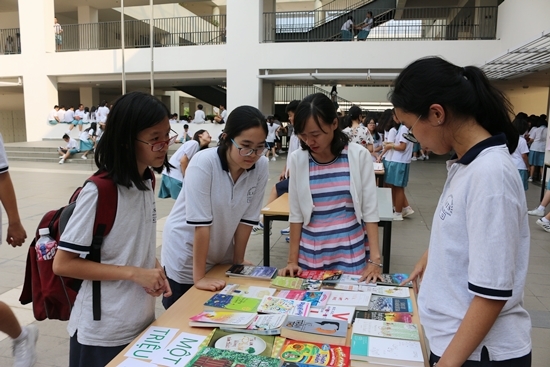 The program consists of two activities: Book donation and Book fair. 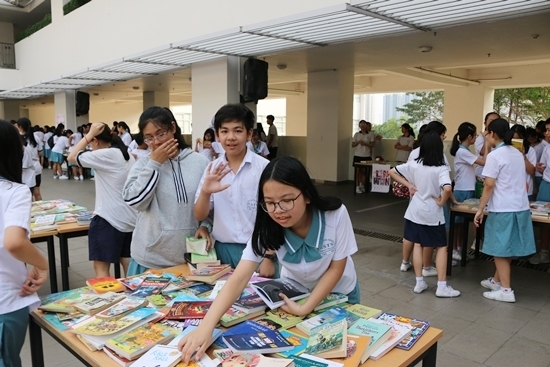 In the Book fair, students in 25 classes managed their own booths, selling their old books to fundraise. In one afternoon, they collected a large amount of funds, exceeding the school’s expectation. 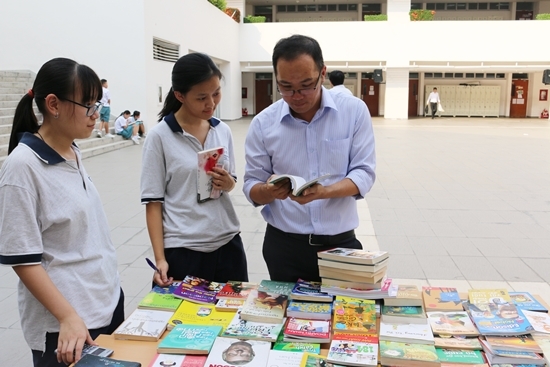 Teachers and students of Lawrence S.Ting School chose books to support the charity. Photos by Lawrence S.Ting School. 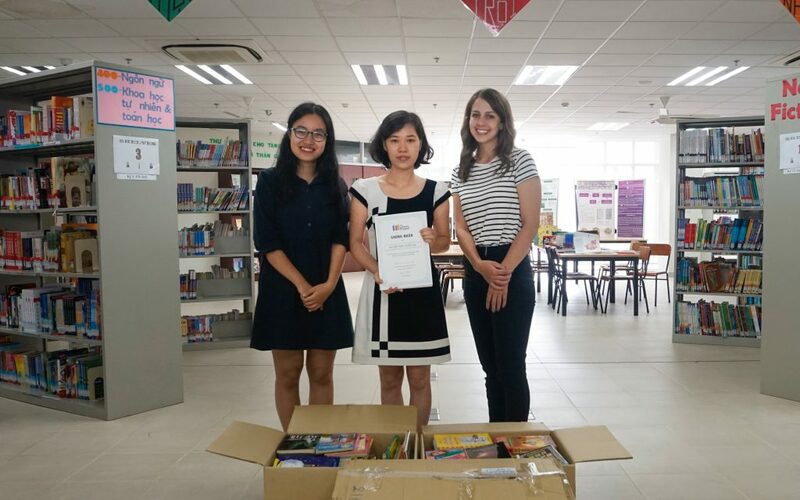 The Library Project’s member and Lawrence S.Ting librarian are standing with donated books from the school’s students. Photo by TLP. 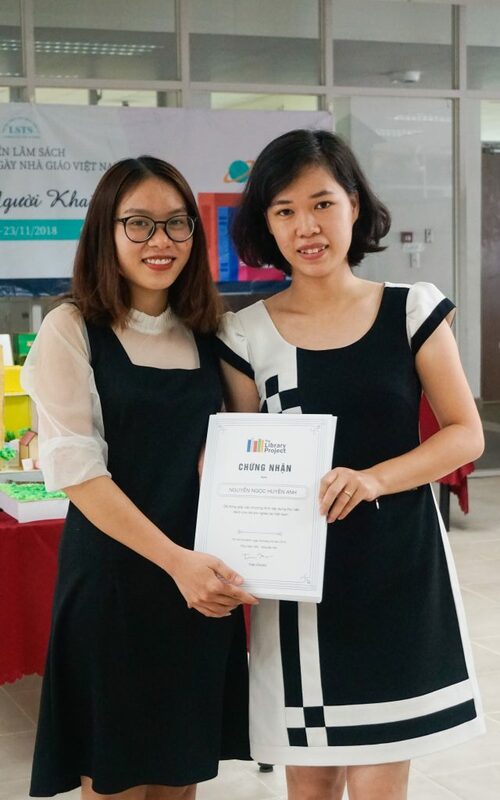 Ms, Uyen and Ms. Giang, Lawrence S.Ting School librarians, receive certifications for students taking part in the event. Photo by TLP. This contribution is not only from a school but also from all students participating in the event, hoping to bring a better education for children in rural areas. We believe small actions can make a big change. If you or your organization are also interested in making a fundraising campaign, contact us for more information. Thanks to Lawrence S.Ting School for helping us bring knowledge to children in rural Vietnam.